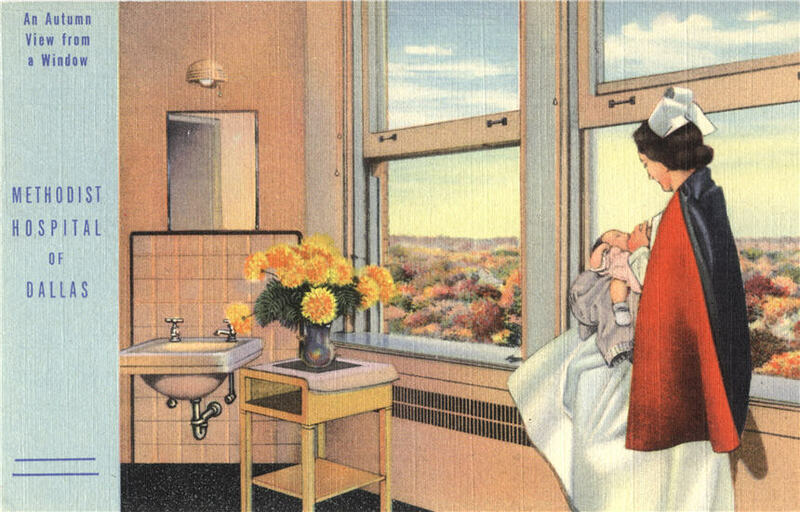 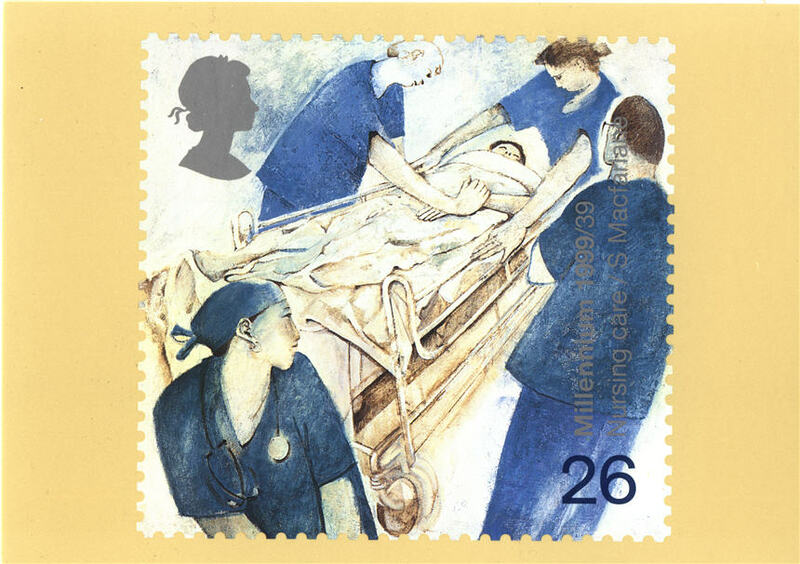 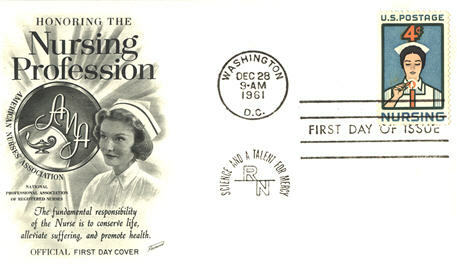 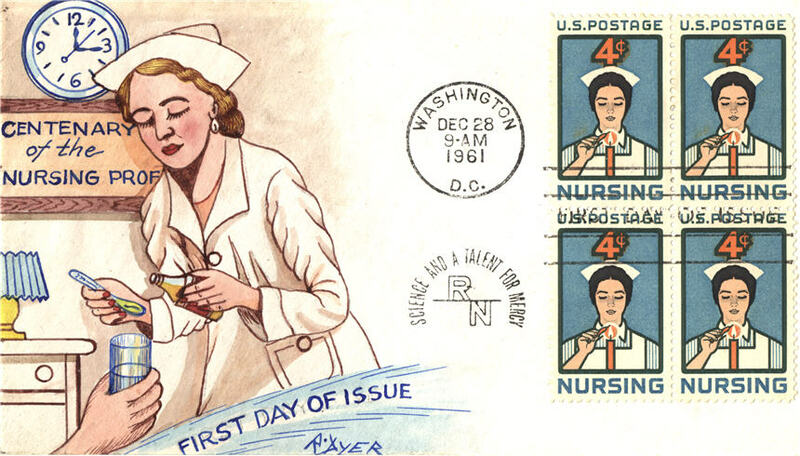 Since the 1980s, nurses have become far more conscious of the need to counteract gendered and sexist images with more accurate images of modern nursing work. 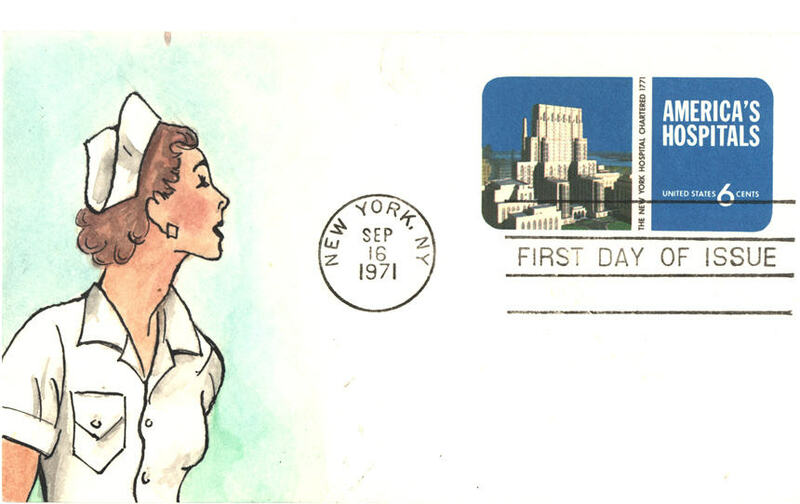 Modernization of the nurses’ uniform, while not entirely eliminating the gendered, sexist fantasies that shadowed nursing’s image in the past, has created a new image of the nurse as a dedicated health care professional. 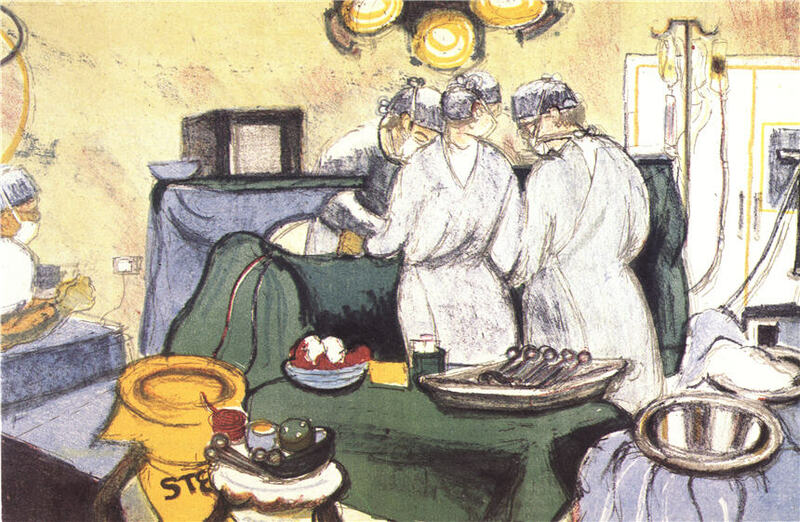 This illustration captures the concentrated atmosphere of teamwork in a modern operating room. 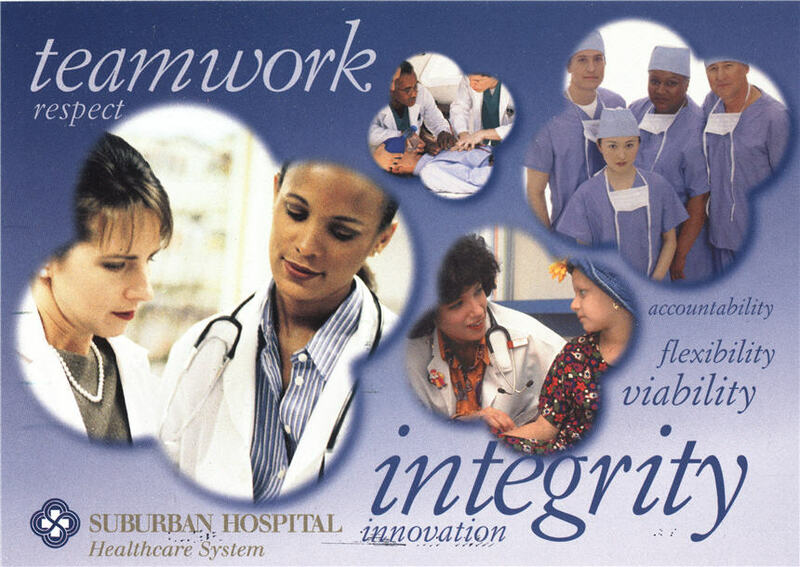 Instead of showing medical staff wearing uniforms that demark professional hierarchies or gender divisions, clothing is functional for the task. 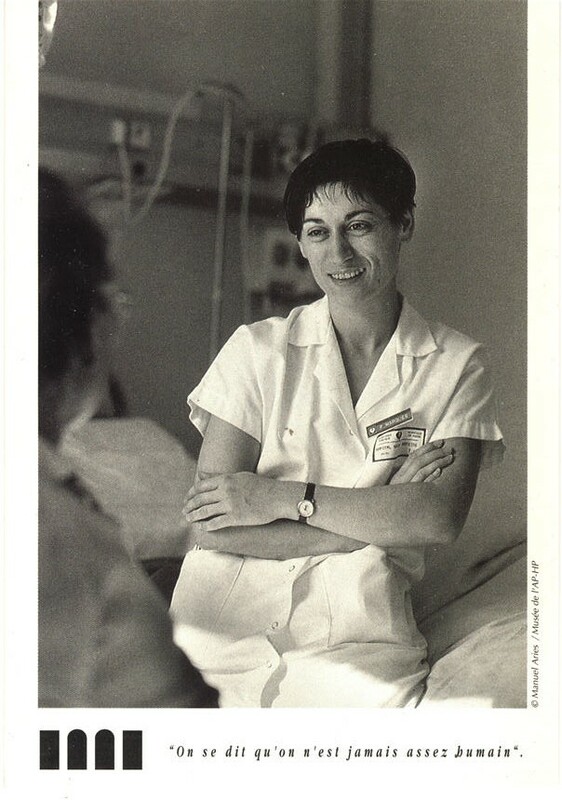 Hospital publicity in the 1990s began to present images of nurses as part of the modern health care team, highlighting gender and racial diversity and creating an impression of equality between different health care professionals.